Is The Aston Martin DB11 Really The Most Important Aston Martin Ever? Aston Martin certainly thinks so. You really shouldn’t think of the Aston Martin DB11 as the DB9’s replacement. What the DB11 also represents is a new era for the iconic English carmaker. The start of a whole new beginning, if you will. For example, Aston Martin simply didn’t take the previous DB9, give it a fresh sheet metal, a new engine and interior, and call it day. No, the DB11 is all-new, right down to its platform. 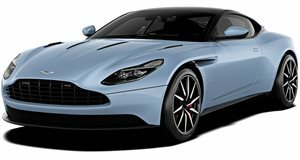 In fact, Daimler-Benz, which now owns five percent of AM, provides the DB11’s electronics. Motor Trend’s Jonny Lieberman and his pal, real English guy and Le Mans winner Justin Bell, get behind the wheel of the DB11 in order to fully understand why Aston Martin calls this its first product from its Second Century plan. Power comes from a 5.2-liter twin-turbo V12 with 600 hp and 516 lb-ft of torque, with power going to the rear wheels through a ZF eight-speed automatic. Weight distribution remains the same as the DB9, with a 51/49 split. Performance? Try 0-60 mph in just 3.9 seconds, and that’s without Launch Control. Wider, lower, and longer than the DB9, the new DB11 looks fast even at a standstill. It’s achingly beautiful inside and out and well worth its $215,000 base price.